After looking forward to lots of trail running in Canada I managed 2 runs before then going down with a chest cold that kept the children entertained as I sounded like Darth Vader! 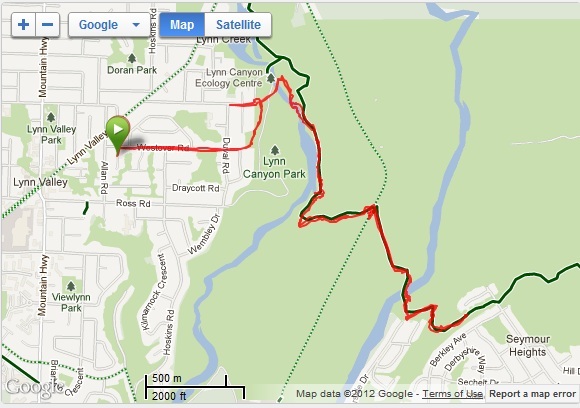 My first run was in Lynn Valley, North Vancouver a couple of days after we arrived. I went out early and after running past some large (non human) footprints I acquired a large pointed staff that I used to contain my paranoia over the 2 hour run through the forest and canyons. 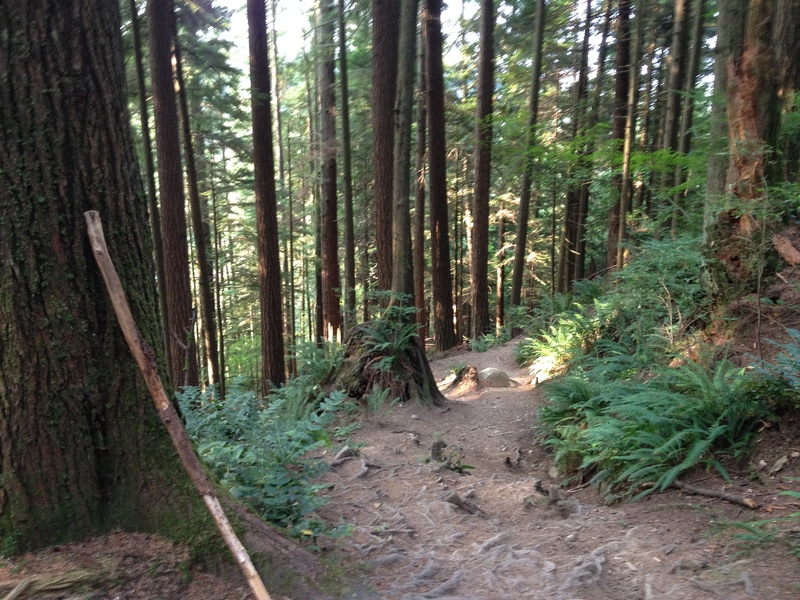 The scenery was amazing and so were the trails. My staff even made it into the picture as well. My second run was in Whistler. I took the cable car and chairlift to the top of the mountain 6,000ft and intended to hike the trails down to the ‘Peak to Peak’ gondola. 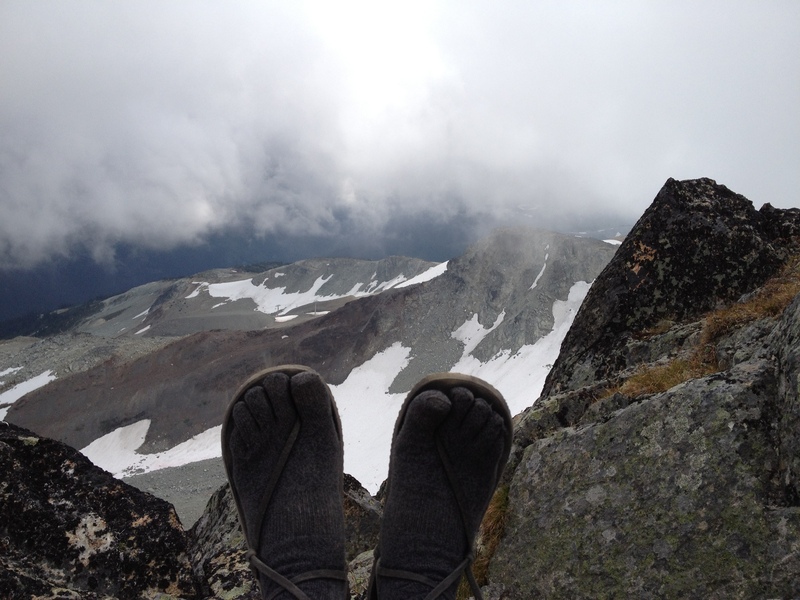 I was wearing my Trail running gear (but with toesocks on to keep my feet warm in my Luna Leadville sandals). Once at the top I found a good trail and ran for 90 minutes gradually working my way back to the gondola. The views were fantastic and my Leadvilles smoothed out pretty much anything underfoot. 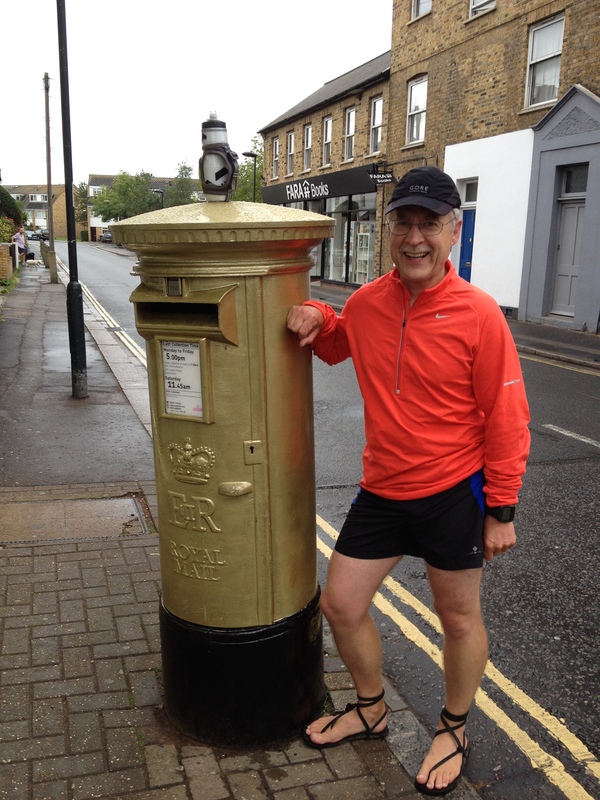 My first run back in England had to swing by a special post box in Teddington. In particular the one painted gold in celebration of Mo Farah’s amazing 5k and 10k gold medals in the Olympics. As I’m currently unemployed having been made redundant I’m trying to run 10k every morning before I sit down at the laptop for the rest of the day looking for my next role.